Royal absolutism is a controversial concept among historians. There has been considerable debate about both the proper definition of the term and its applicability to the actual workings of European states in the early modern period. Scholars have suggested that elements of absolutism appeared at one time or another in France, Russia, Spain, Austria, the German states, and other smaller entities, and that even England (after 1707, Britain) displayed some traits common to absolute monarchy. At a most basic level, the term royal absolutism suggests a system of state administration centered on and dominated by a monarch as opposed to some other level of society or some other office or institution, and usually without legal or constitutional restraints. It can be differentiated from the older medieval form of monarchy by its increasing independence from, or suppression of, the feudal apparatus that linked each person in a hierarchy of mutual obligation between higher and lower. An absolute monarch controlled the state directly, rather than being forced to rely on the cooperation of the nobility through a lord-vassal relationship. Medieval monarchs usually had to contend with multiple challenges to their authority. These challenges included rival claimants to the throne, powerful nobles who could raise armies and funds independent of the sovereign, councils or parliaments that insisted on being heard, merchants and financiers who were more interested in profit than in paying taxes or serving political interests, towns that claimed immunity from certain controls, and frequent peasant uprisings. Religious institutions, which were often wealthy and had great influence over the population, could also be tenacious in defending their independence from temporal authority. In essence, the idea of an absolute ruler was developed as one solution to these problems. Rather than living in constant fear of their antagonists, or being forced to share power with them, an absolute monarch could create and maintain a powerful kingdom and rule it effectively. One of the problems with the study of royal absolutism in history is that too often the term absolute was used in a pejorative sense by those who opposed a particular ruler. This was true of both internal and external conflicts. 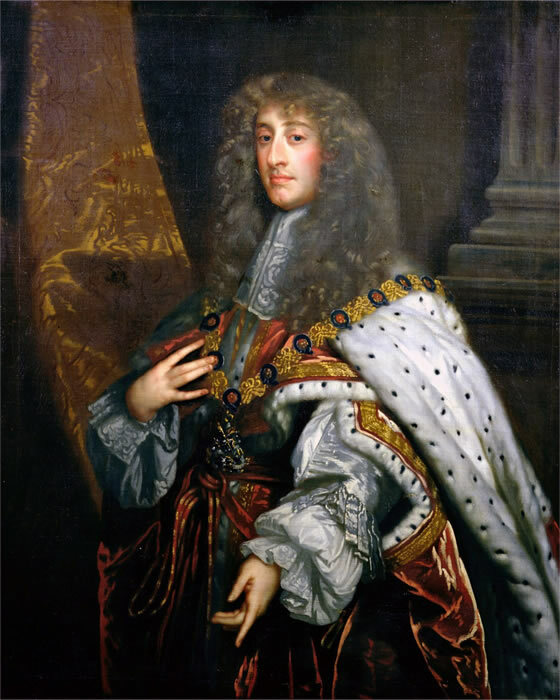 In the 1680s, for example, the groups in England who opposed the policies of James II accused him of attempting to establish an absolute monarchy that would disregard Parliament, reimpose Catholicism, and generally strip his subjects of their rights and liberties. The English would also apply this label to Louis XIV in the late 17th and early 18th centuries, when England fought two wars against France. Even the term absolutism to describe a particular style of government was not coined until after the French Revolution, with the explicit purpose of discrediting the ancien régime. The concept of a powerful ruler in a centralized state was not always viewed in a negative light, especially among some intellectuals of the 16th through 18th centuries. Three thinkers closely associated with the development of absolutism as a political theory are Jean Bodin (1530–96), Thomas Hobbes (1588–1679), and Jacques-Bénigne Bossuet (1627–1704). Each was deeply influenced by the political circumstances of his time. Bodin and Hobbes were examining the nature of authority when it had clearly broken down; Bossuet was justifying a system developed in reaction to such crises, but which itself was subject to challenge. Although their ideas were not necessarily representative of the opinions of their contemporaries, or of the realities of statecraft in early modern Europe, each work was widely known and read in its time and afterward. Bodin’s Six Books of the Commonwealth first appeared in 1576, in the midst of the French Wars of Religion. Bodin undertook a sweeping study of various forms of government, taking care to distinguish between what he called royal monarchy, despotic monarchy, and tyranny. Despots generally violated the property rights of their subjects; tyrants were arbitrary and purely selfish. Royal monarchy meant that a ruler, although entirely sovereign, would always seek to rule in the best interests of his subjects. There were no formal constitutional checks on power, but a paternal sense of duty to the welfare of the kingdom would guide the ruler’s actions. The other limit on royal power evident in Bodin’s own time was the legislative or consultative body, such as the Estates General and parlements of France. All such legislative bodies claimed some rights and privileges from the sovereign. The political history of France and England after Bodin’s time demonstrated that although rulers of those countries could circumvent Parliament and the Estates for extended periods of time, this eventually led to resistance and revolution. Hobbes also lived in a turbulent age. Many of Hobbes’s most important political works, including De Cive, Leviathan (both published in 1651), and Behemoth (1681), were heavily influenced by the events surrounding the English Civil War, which ended with the execution of King Charles I. In Leviathan, his best known work, Hobbes drew a lengthy analogy between a commonwealth and the human anatomy, in which the king is represented as the head and the rest of society as the body. He proceeded to set out his view of human nature unconstrained by government or communal moral standards. In such a situation, he argued, there could be no guarantee of life or possessions except by violence. Human beings needed government to remove them from this state of nature, and the best government was the one that reduced violence and uncertainty the most. This required people to surrender a portion of their individual liberty (either by making a covenant between themselves or by being conquered) to a single authority, which would be charged with the protection of their lives, property, and other retained rights. This authority could take one of three forms: monarchy, aristocracy, or democracy. He argued that of these, monarchy was theoretically preferred, since it was least likely to degenerate into factional struggles and civil war. This monarchy, he continued, should not be elective (as in the Holy Roman Empire) or limited (as claimed in England), or else it was not a true monarchy, since the ultimate source of sovereignty lay with others. Like Bodin, Hobbes argued that a true monarch would be restrained from acting in an arbitrary and wicked manner through reason and enlightened self-interest. Because the monarch was the embodiment of sovereignty, his or her private interest would be aligned with the public good. A wise ruler would seek counsel from those best equipped to provide it, but would always reserve the personal right to choose and implement the best policy. Anticipating critics who would point to historical examples of rulers who did not concern themselves with the common good or the most reasonable policies, Hobbes repeatedly stated that whatever problems could be caused by the corruption of a single sovereign would simply be multiplied in an oligarchy or a democracy. Bossuet’s Politics Derived from the Very Words of Holy Scripture (1709) was an exploration of the nature of kingly power as demonstrated in the Bible and in history. For a number of years Bossuet had served as the tutor to the Dauphin, the son and heir of Louis XIV, and he was thus highly interested in and knowledgeable about the workings of the French monarchy. He proposed that the power of the king is “paternal,” “absolute,” and “subject to reason,” but he also added a “sacred” quality. The principle that temporal authority originates with God is found in many parts of the Bible, and most medieval European sovereigns were considered to be God’s anointed. The doctrine of divine right kingship was invoked by 16th and 17th century rulers such as James VI and I of Scotland and England to justify their actions and to condemn resistance or questioning of their authority. In France, the sacred quality of kingship had an added dimension: since the king was placed on the throne by God, resistance to his power was illegitimate and sinful; those who opposed the political or religious policies of the king, such as the Huguenots, should not be tolerated at all. The Russian czar Ivan IV (reigned 1533–84) provides an early example of an attempt to centralize authority in the person of the ruler and circumvent existing institutions and controls. Ivan began his reign as the grand duke of Muscovy, but by 1547 he assumed the title of czar (emperor) of Russia. In 1565, frustrated with the problems still facing his fragmented domains, Ivan created a separate administration under his personal control, the Oprichnina. Originally this was confined geographically to certain towns and parts of the countryside, but over time it grew in both size and scope. Ivan IV’s reign illustrates two different concepts often associated with absolutism. The first is reform of the state, which included the creation of a standing army and a centralized bureaucracy responsible directly to the ruler, as well as a systematic overhaul of laws and institutions dating from feudal times. The second, despotic and arbitrary rule, was one of the primary reasons that many philosophers and statesmen feared and opposed anything resembling royal absolutism. The one ruler who is most often associated with absolutism is Louis XIV of France (reigned 1643–1715). While it is true that the Sun King had a more powerful state apparatus at his disposal than his predecessors, and showed more vigor in running France than his immediate successors, he was not primarily responsible for creating the system he led. France had been divided by internal political and religious wars in the 16th century, although the appearance of a strong ruler, Henry IV, began the process of healing the rifts and stabilizing the government—at least until Henry was assassinated in 1610. His successor, Louis XIII, was not as assertive, and by the 1620s he had effectively delegated much of his authority to Cardinal Richelieu. Louis XIV may have consciously portrayed himself as an absolute ruler, but the daily reality of managing his kingdom was something quite different. He did not rid himself of all obstacles to his authority, but through a combination of compromise and assertiveness he was able to reduce the resistance of such bodies as the nobility, the parlements, and the church. 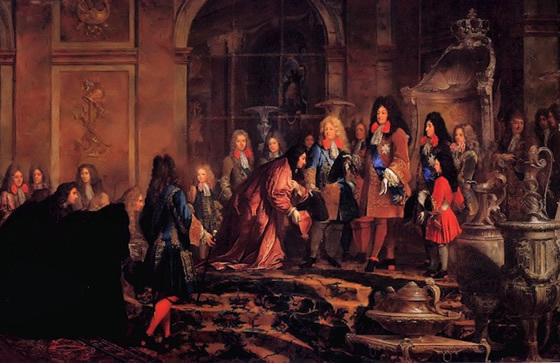 Louis XIV was only partially successful in establishing himself as the unquestioned master of his kingdom, and even less so in his attempt to act as the “arbiter of Europe.” In fact, scholars such as Nicholas Henshall argue that the lingering image of Louis XIV as an absolute monarch owes more to the perpetuation of a myth by English polemicists than to his actual behavior. After the Glorious Revolution in 1688, Henshall says, absolutism came to be defined by the English as everything that their constitutional monarchy was not: French, Catholic, and despotic. This was a simplistic definition that ignored the continuing importance of the monarch in British politics and the real constraints on the power of the French king. Even with all of the centralization and modernization associated with absolutism in this period, most states still remained a patchwork of different jurisdictions under the nominal control of a single crown. Spain, France, the Austrian empire, and Russia all had ancient internal divisions that no monarch could simply erase, no matter how much he or she might want to.